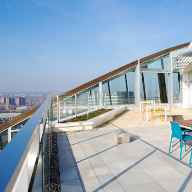 For a clean and graceful balustrade system, the Orbis system is your first choice. 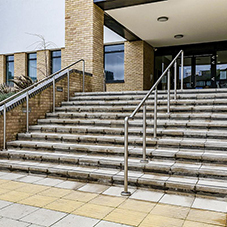 Crafted from stainless steel or mild steel tubing, this system is ideal for a huge variety of applications, wherever low maintenance and high functionality is required.  50 Series: diameter tubing suitable for medium loading applications.  60 Series: diameter tubing suitable for medium to high loading applications.  70 Series: diameter tubing suitable for high loading applications, such as crowd control.